Opened in 2009, Le Spa du Metropole brought the elegance of European style. This spa is 400m2, consists of 7 rooms decorated in different styles. It has a basic treatment room, a room for couples and themed rooms. In addition to basic services, it also has Hammam - a Middle Eastern steam room for steam treatments. Address: 15 Ngo Quyen Street, Hoan Kiem Dist. Phone (04) 3826 6919. Elite is on Xuan Dieu Street, in Hanoi West Lake area, it has the modern architecture of the West combined with oriental tradition. In particular, there is an infrared sauna and methods of Western physical therapy that are effective for treatment of pain related to the spine fatigue, stress reduction energy therapy. Address: 51 Xuan Dieu, Tay Ho. Phone (04) 3718 6433. This spa has open spaces, unique architectural styles and interior from natural materials such as wood, stone, sand, gravel, trees, flowers and water. It serves massage with volcanic stones, colored stones or even ruby, sapphire and quartz crystals which stimulate blood circulation, clear the blood and conditioning, reduce the symptoms of pain backs, arthritis, and bring a sense of deep relaxation. Address: Floor 8, Ruby Plaza, 44 Le Ngoc Han, Hai Ba Trung. Phone (04) 2220 6788. Address: 28 Nguyen Du street, Hai Ba Trung. Phone (04) 7309 9999. They have relaxing massage service, skin treatments, manicure, connecting and bending eyelashes,etc. In particular, you can use a mobile spa services under the Australian model with the experience of beautifying, relaxation at house, at work or anywhere you want. Address: 22 Hoa Ma, Hai Ba Trung. Phone (04) 3835 3636. Amadora spa is inspired by cultural heritage of Champa, the interior design and architecture strongly inspire customers. 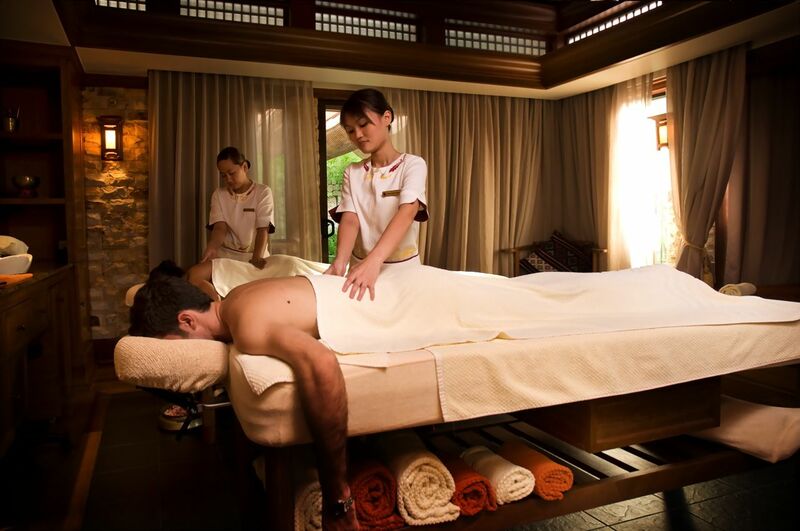 It offers unique care: multifunctional hydrotherapy, steam bath with light therapy, Turkish steam bath, Himalayan rock cones massage, Japanese-style and Thai-style massage,etc. Address: 250 Ba Trieu. Phone (04) 3978 5407.